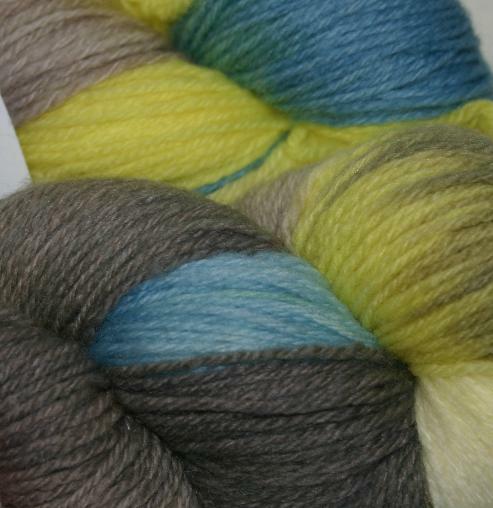 Yarn and Fiber Happenings: Funky Monkey Makes Your Feet Happy with Color! Funky Monkey Handpaints Sock Yarn is fun, fun, fun! Great bright colors make your feet dance with glee! 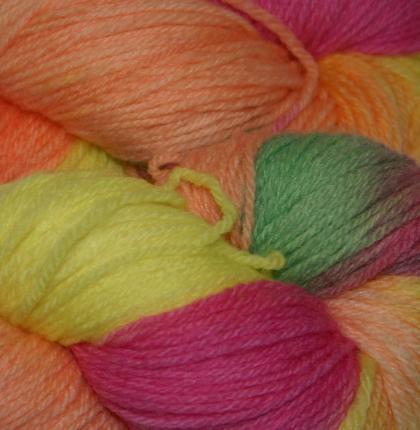 This hot, new handpainted sock yarn from New England hand-dyer Funky Monkey features a mix of exquisite color combos and high quality yarns making Funky Monkey one of the best! 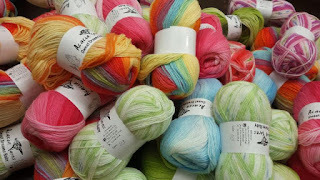 Funky Monkey Sock yarn is a blend of superwash fine merino (80%) and nylon (20%) which make this yarn both very soft and strong. Funky Monkey Sock yarn is 420 yards per skein and knits to a gauge of 6.75 to 8 sts per inch on a US 1 to 3 needle (2.25-3.5 mm). One skein makes a pair of socks! Great for baby garments and blankets! Super colors for all to enjoy! Need a sock pattern, we have lots! Click here to find patterns from socks to sweaters for your beautiful sock yarns!